Every person who has ever loved and lost a beloved dog has at least one thing that they wished that they'd done with their dog. From the simple and trivial to the outrageous, there are all manner of activities that we SHOULD do with our dogs while we are in their company on Earth. Holly Kernot spoke to as many dog owners as she could find in order to find out what the nation's dogs love doing most. Going for a swim in the river is one thing many dogs can’t resist. One look at a large plane of water with ducks swimming on it, and they are straight in! 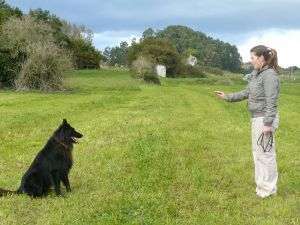 Many dog owners say that this is one activity guaranteed to get their dogs tails wagging. It is also a fantastic form of exercise. We recommend taking a towel with you though, as it can get very muddy! If all that swimming has left your dog a little grubby, why not invest in some spa treatments and treat your dog to an afternoon of pampering? With dog spas becoming popular in Britain now, grooming, haircutting and nail clipping are all options available to your dog. While they are being treated like royalty, why not get some treatments done yourself. You can both go out looking like super stars! I’m pleased to say that all 3 of my dogs have done the above apart from the Spa Treatment and Be a Star for the Day. They get 2 walks a day lasting from half an hour to an hour each and every walk is one of about 7-8 places that are local to us, so they don’t go to the same place every day. They always come on holiday to Anglesey with us where we rent cottages in the middle of nowhere where they can play and run to their hearts content. Whilst we’re on holiday they go to the beach every day and play in the sea and even when at home we attempt to take them somewhere at least 3 times a week where they can get wet and muddy. We go to Doggy Paddle (hydrotherapy) once a fortnight for my oldest dog who has arthritis and the other two alternate in going with her. All in all, I think I have 3 very happy dogs.